On July 27, US headquartered Wolters Kluwer’s ELM Solutions announced its partnership with the Centre for Child Rights and Development (CCRD) in Kammavarpalayam, India, to help launch CCRD’s Children’s Activity Centre. Located 90 kilometer away from Chennai city, the Children’s Activity Centre is part of ELM Solutions’ ongoing commitment to positively impact local communities where the firm has a presence. The centre will provide after school education and activities to underserved children in the region. The Children’s Activity Centre is a joint initiative of ELM Solutions and the CCRD, which identifies underprivileged villages whose infrastructure and remoteness of location is not conducive to the growth of children, including sufficient exposure to education or after school activities. 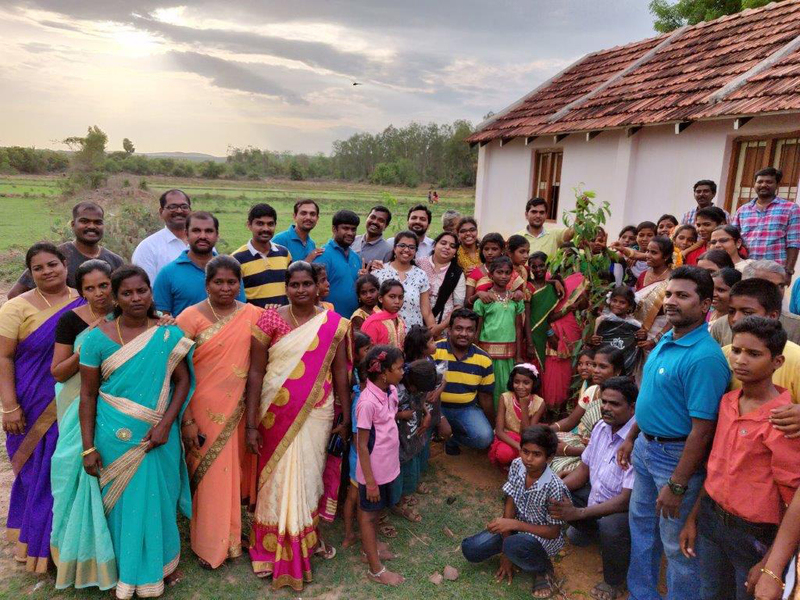 Executives from ELM Solutions’ leadership team traveled to India to participate in the inaugural events, which also included the donation and planting of 35 tree saplings as well as school bags for every child. At Chennai, ELM Solutions office is sited in Ramanujan IT City in Taramani, one of the biggest integrated IT cities in India. Nearly 300 ELM Solutions’ employees spread across Product Development, Product Implementation, Technical Operations, Law Firm Operations and Global Business Services departments hold leadership and operational positions there. Wolters Kluwer’s ELM Solutions is the market-leading provider of enterprise legal spends and matter management and legal analytics solutions. Corporate legal and insurance claims departments and their law firms worldwide trust our flexible, multi-solution approach to help ensure compliance, control costs and collaborate more effectively. This includes Passport, the highest rated ELM solution in the 2017 Hyperion Marketview™ Legal Market Intelligence Report; TyMetrix® 360°, the industry’s leading SaaS-based e-billing and matter management solution; and the LegalVIEW® portfolio of legal analytics solutions based upon the industry’s largest and most comprehensive legal spend database, with more than $100 billion in invoices.